5,500m3 Trailing Suction Hopper Dredger for van der Kamp one step closer to delivery. 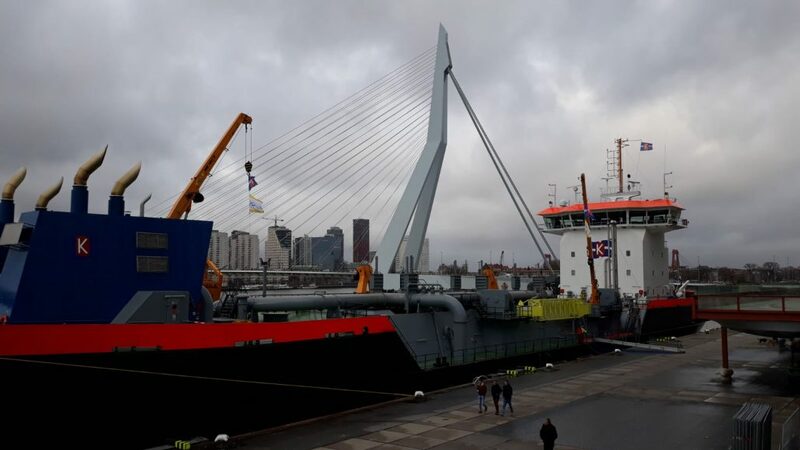 The 134 m long dredging vessel, fuelled on LNG left the safe boundaries of the dry dock facilities at Delfzijl and was successfully launched last Friday, March 9th 2018. She safely hit the water and soon she will towed to the port of Harlingen were the complete outfitting will take place. Conoship International wants to congratulate Baggermaatschappij Van der Kamp and all suppliers involved, with this milestone. Already in 2013 Conoship started with a feasibility study for a TSHD fuelled on LNG for Van der Kamp resulting in a contract early 2016 for a complete basic design and engineering package following the detailed construction engineering, including piping routing. 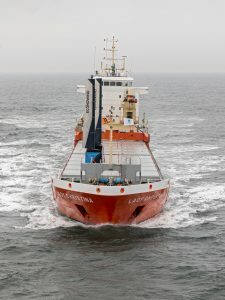 The vessel complies with the IMO tier III rules and regulations set in 2020 and belongs to one of the first dredgers on LNG. After the delivery her working location will be the port of Rotterdam for harbour maintenance, until at least the year 2023.